Discover 120 miles of panoramic views, quaint coastal villages and glorious natural attractions on this winding wonder of a road. Below is just a suggested itinerary and we can shape a tour bespoke to your desires. 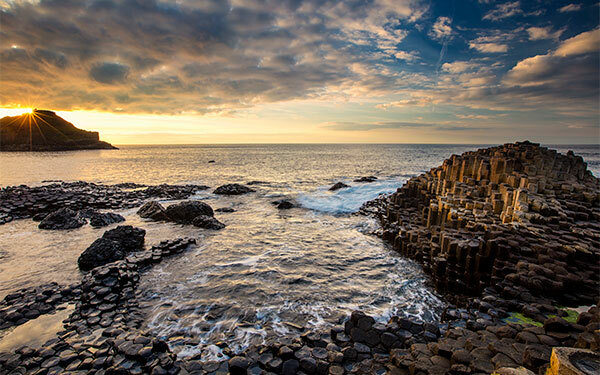 Steeped in myth and legend, the Giant’s Causeway, sits proudly on the north coast of Ireland. A World Heritage site, ranked amongst Mount Everest and Stone Henge. 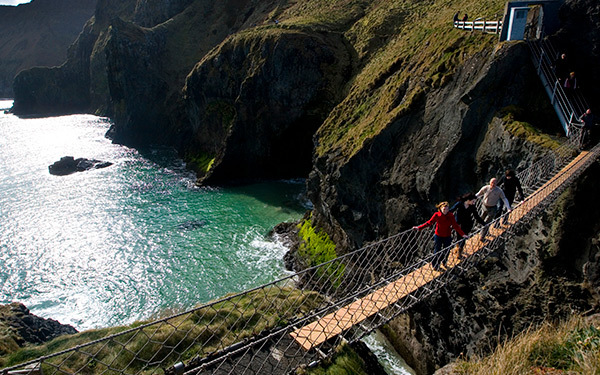 Visit Carrick-a-Rede Rope Bridge and dare yourself to cross the 20m wide, 30m deep chasm before wandering around Ballintoy Harbour, a hidden gem along off the coast road. Home to one of the world’s oldest licensed whiskey distilleries. 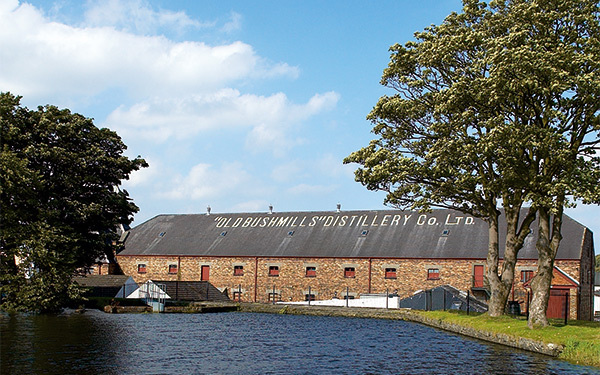 Take the tour, breathe in the incredible scents of a working distillery and take a wee dram to warm your soul. 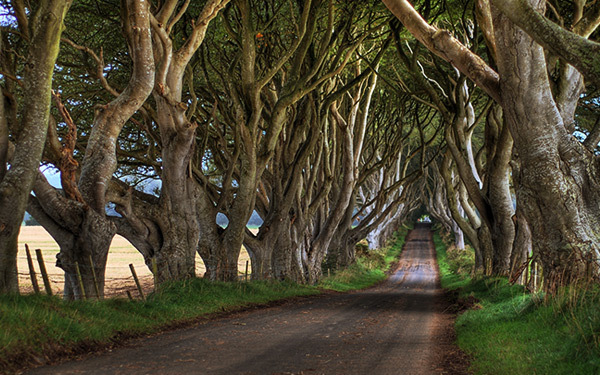 The Dark Hedges, long admired by locals, has recently found world acclaim after featuring in the incredibly popular HBO series Game of Thrones. Walk this magnificent tree-lined avenue and enjoy one of the country’s most photographed natural phenomena. 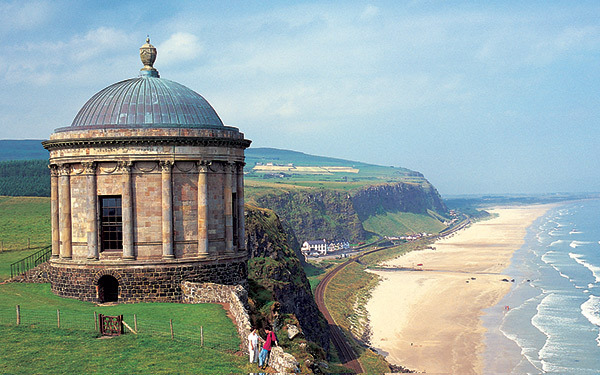 Visit Mussenden Temple, a former library perched on the edge of a cliff with nothing but sea ahead, set in the grounds of Downhill Demesne, former home to the Earl Bishop. 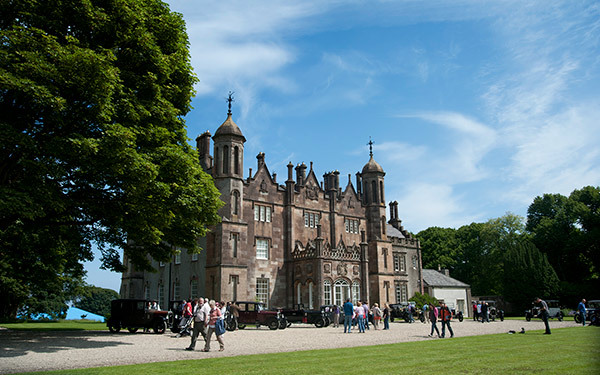 Visit these beautiful gardens dating back to the 18th century, situated within the grounds of the historic Glenarm Castle. Northern Ireland’s only island, and most northerly point off-land, is home to fantastic heritage sites and the RSPB bird sanctuary. 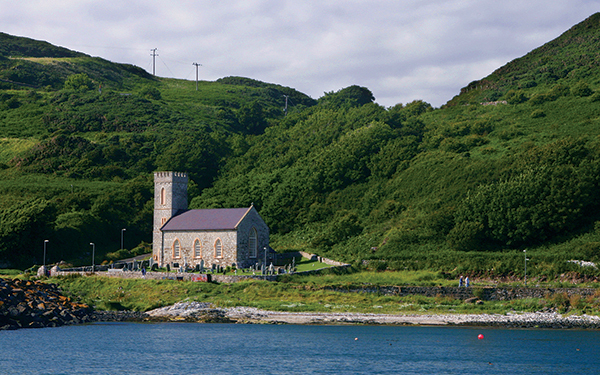 Rathlin Island is one of 43 Special Areas of Conservation in Northern Ireland. It’s home to tens of thousands of seabirds. It’s also a popular place for birdwatchers offering a nature reserve with spectacular views of Rathlin’s bird colony.